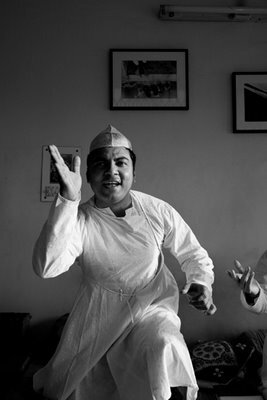 By rainfall and exposure to sunlight"
That sees no harm of neither gusts nor rainfall"
For I have disseminated the seeds of discourse"
Most of us in India may have heard of Bant Singh. He is a dalit farmer from a village called Phullewal in Punjab. He's had one of the most traumatic and tragic experiences in recent times. Bant Singh spent his time organizing farm hands in Punjab but that obviously didn't go well with the landlords. The series of ghastly acts began with his daughter getting raped by the village goons. Bant took refuge in the legal system and fortunately was able to get the perpetrators convicted. But this was just the beginning of his woes. The sympathizers of the rapists and landlords caught hold of him and battered him almost to death. The end result was that three of his limbs were chopped off. When admitted at the local district hospital, Bant Singh ran into further civic and administrative apathy and almost for three days was without any medical aid. The doctors apparently wanted some monetary consideration to treat him. 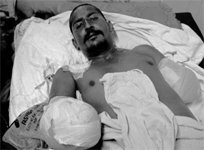 Anyway, to cut the long story short, Bant Singh is getting treated right now at Delhi's St. Stephens Hospital and the total expense to rehabilitate him, that is to provide him with prosthetic limbs would cost an upward of INR 300,000-00 (USD 6,500-00 approximately). 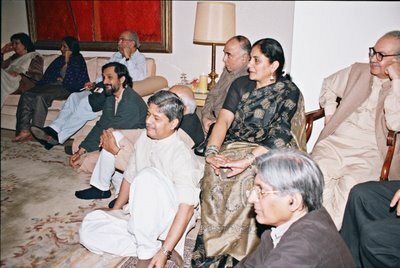 The Forum for Democratic Initiatives is organizing a fund raiser for him on October 15th, 2006 here in Delhi. The details of the fund raising program are given below. We'd appeal all of you, if you're in Delhi to make it for the fund raiser and contribute to Bant Singh's rehabilitation. If you're not in Delhi then please spread the word to your friends here in Delhi whom you think would be willing to attend the fund raiser and contribute to Bant Singh's relief. Forum for Democratic Initiatives invites you to an evening of cultural performances to celebrate resistance. 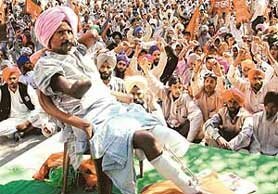 Bant Singh, a Dalit singer and an agrarian worker, who continues to be defiant even after the amputation of three limbs, is currently being treated in St. Stephen’s Hospital, Delhi. The doctors are hopeful that with artificial limbs, Bant Singh will be able to walk again. Bant Singh was assaulted by powerful landlords in Mansa, Punjab for consistently pursuing the legal battle against the rapists of his daughter and for organising the rural poor under the banner of Mazdoor Mukti Morcha (of the All India Agriculture Labour Association). 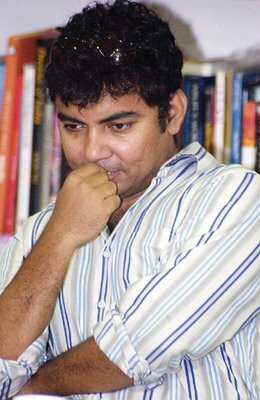 Lucknow, September 30: Chubby cheeked and cherubic, D(a)anish Husain looks as sweet and tempting as the Danish pastries his name is often mispronounced as. His foray into the art form was accidental, but about a dozen sessions of Dastan Goi later, this former corporate banker, now full-time theatre guy, has made it his mission to revive the art form and build a global audience for Dastan Goi. "It was in March this year that I was approached by Mahmood Faroqui who had originally started Dastan Goi with friend Himanshu Tyagi and was on the look out for a partner. We had only twelve-odd days to prepare as the performance was on March 27. 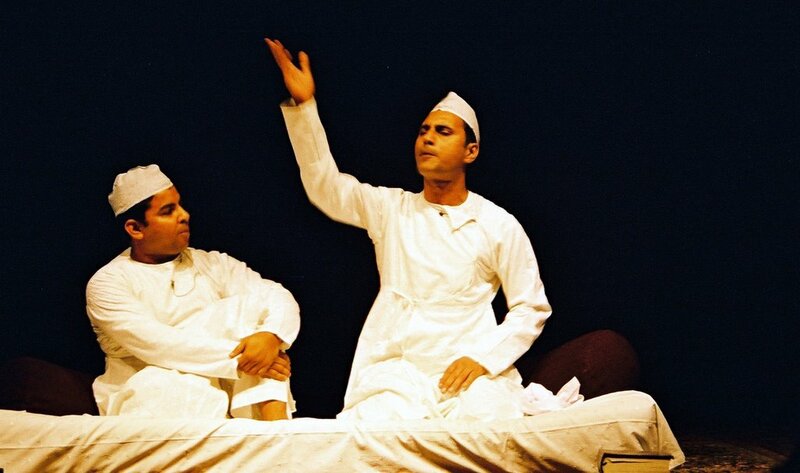 It was a very challenging art form and a dozen-odd shows later, I am so glad I took up the task," says Husain. 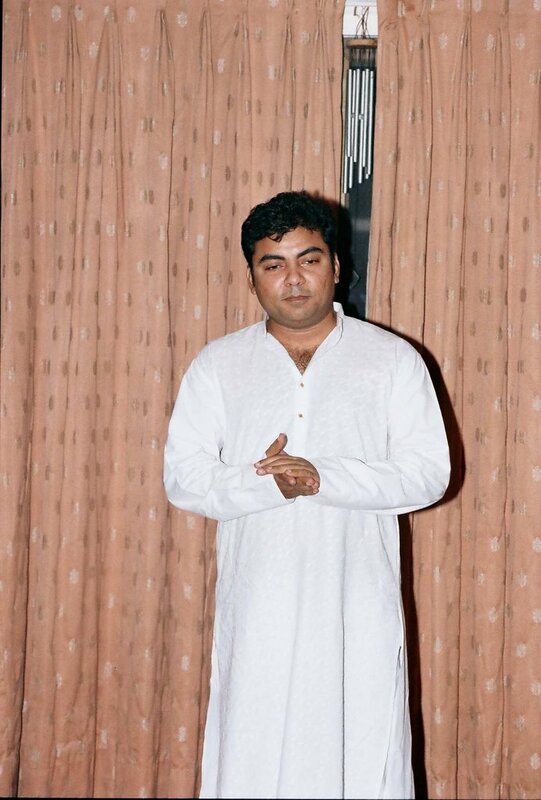 "While Himanshu and Mehmud had a similar style, between the latter and me, it is the contrast in our styles which heightens the performance," he reveals. Talking about the art form Husain says it is the universal appeal and the magic realism that have contributed to the popularity of Dastan Goi. "The fact that they have a Middle Eastern setting does not affect the universal appeal of the art form. The stories could be in any setting, the nuances could be European, Spanish, and Moroccan -even in these cultures stories get floated around. While it may change its attire, the core appeal remains." Another plus is the lack of any moralistic stands in the script. "The story is pure entertainment. 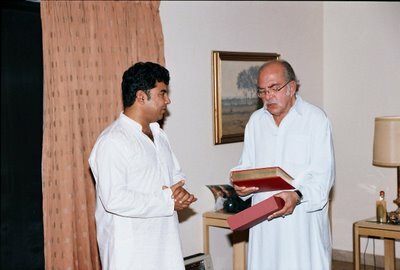 Apart from the basic premise that Amir Hamza is the good man, the Prophet's uncle out to destroy the charlatan Afrasiyaab, which exempted them from Islamic decrees, there is ample leverage for the main characters to indulge in all sorts of vices- wine, women, makkari, ayyari, magic, fantasy- hence, its appeal." Language too becomes redundant faced with the perfect mimicry that accompanies the art. Husain talks of an American guest at a Mumbai performance who said he understood the entire story without knowing a word of Urdu. 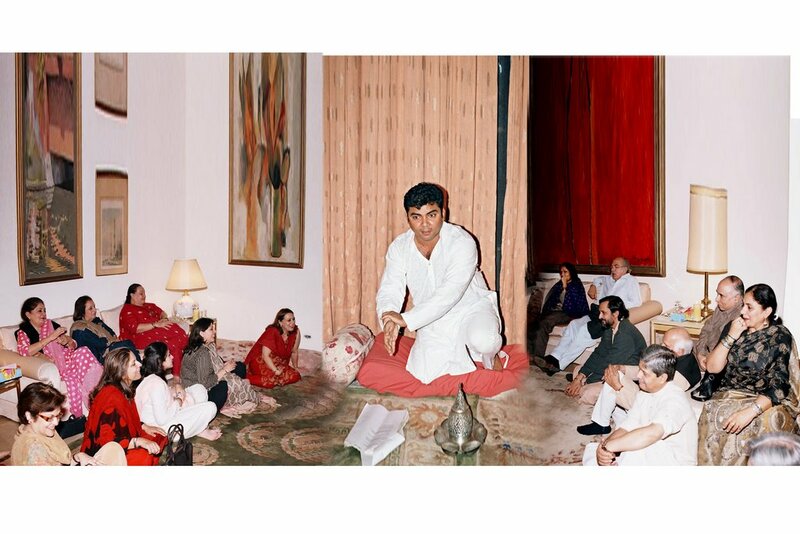 "Yes, it is Urdu at its literary best, with more than a fair sprinkling of Faarsi, but the stories have eloquence and a cadence that appeals to all irrespective of whether or not they understand Urdu. The language, the rhythm, the juxtaposition of ideas, metaphors and words bind you," he explains. 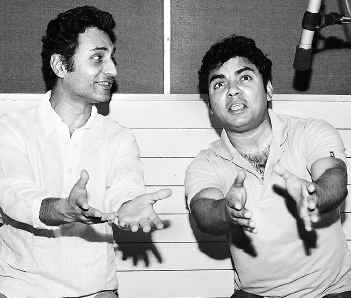 So does he see a glimmer of hope and the revival of not just the dying art form but also Urdu with a growing number of people interested in Dastan goi? "Everything that you start is accompanied by hurdles. It's never a smooth walk initially. More so with people ready to give a communal flavour to the language, an administration apathetic to the cause and educational system that doesn't give you anything by way of an education. But it is heartening to note that despite all this, the response from the general public is always heartening. I think people are aware of their social and cultural responsibility and the need to protect and preserve these dying art forms is propelling them to get back to their roots and make this one bid to preserve their heritage. 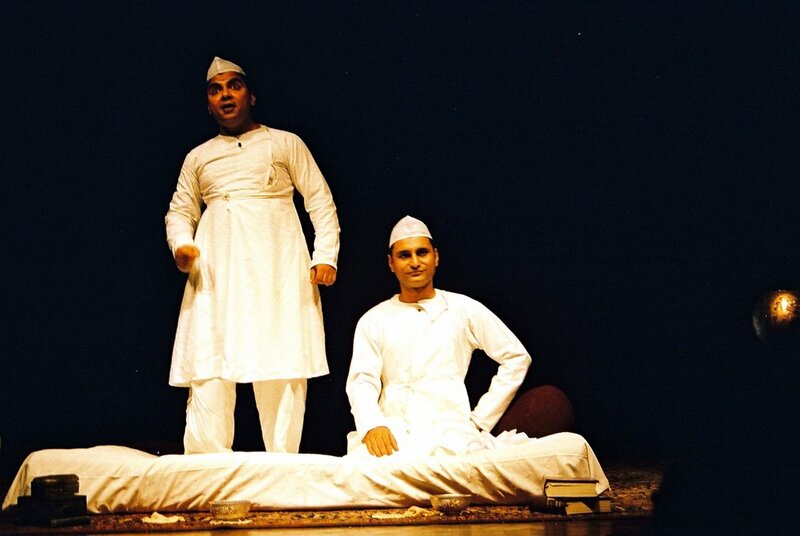 After the play in Mumbai I met a few young boys- in jeans cargos, tees- like your average metro teenagers and they asked me where and how they could learn Urdu. It made me feel so good about what I was doing." 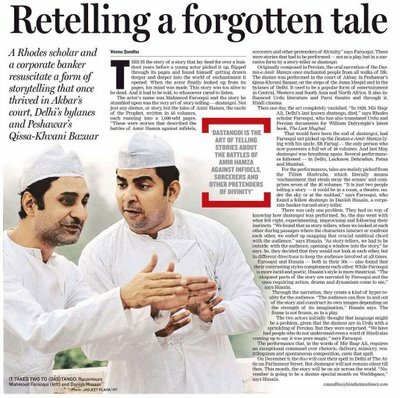 … Just three events from one week in the life of Lucknow, but sufficient evidence to surmise that something, something very good, is slowly, silently taking shape in the City of the Nawabs. 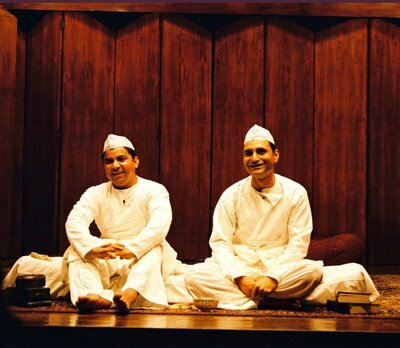 A slow but gradual conscientiousness emerging from the Lakhnavi gentry towards their cultural and literary heritage and the need for its preservation and appreciation. Ask Noor Khan, educationist, who attended all three functions, on the trend and she avers, "Lucknow has always seen a flurry of activity take place which intensifies as the weather gets better. As for Amir Naqi Khan, I have been attending his dinners for as far back as I can remember. There has been an intensification of this of late, because I think people are realizing that they have let their past slip through in different ways and it is not only beneficial for them but for others as well to revive these traditions. But I think as far as the government is concerned, it is largely a private effort which sees such events taking place in the city. This sort of thing used to take place in Rita Sinha's time and now I must give credit to Zohra Chaterjee for taking a keen interest in reviving these traditions in Lucknow. On the other part I think publications such as the Indian Express with Tumhari Amrita and others have had a significant role in keeping these traditions alive in the city." Speaking about her effort, Principal Secretary, Electronics and IT, Zohra Chaterjee says with a smile, "The evening of Dastan Goi made me wish sincerely that I had paid more attention to learning Urdu when my mother had insisted I learn the language. I just got through learning the bare minimal skills. I think it's the flavour of the language that holds immense attraction. I for one was overwhelmed by the public response." Principal Secretary Handlooms & Textiles, Ravinder Singh, who was co-organiser for the event says, " We had wanted to hold a Dastan Goi session long ago but the last Dastan Goh of Lucknow died a decade back. 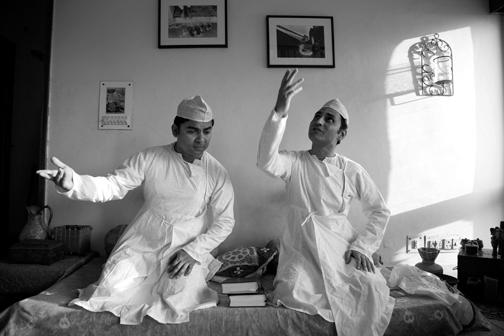 Then Zohra chanced upon Mehmud Farooqui and Danish Husain in Delhi and we decided to call them over. The response has been terrific. We'd love to do more such events in the future." If the exchange of SMSes between Zohra and Singh are any indication, it could well mark the beginning of a new cultural platform for more such events. 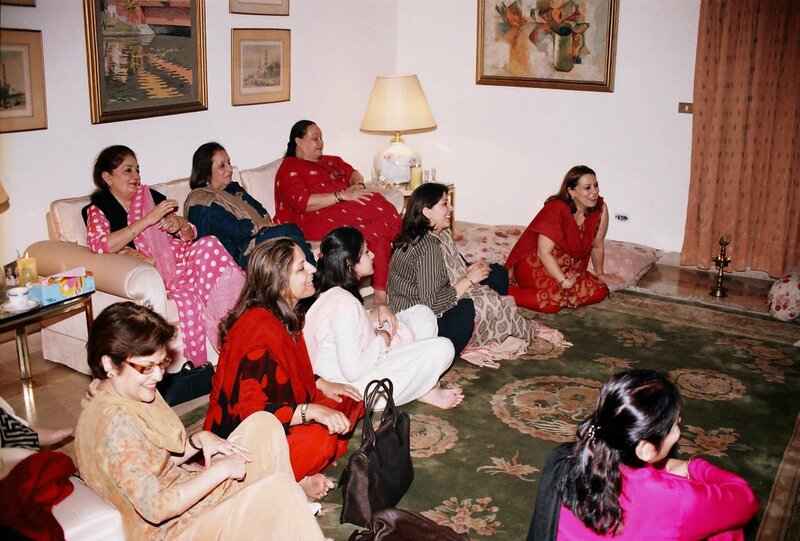 Says Zohra " After the function I sent Ravinder an SMS, 'Great synergy. We must do this again sometime,' and he replied, ‘Definitely. Aadab Lucknow.' That's a nice name for a society aiming at cultural revivalism in Lucknow, she concludes." Let's just say Amen to that! 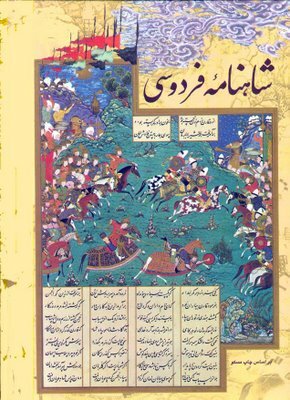 The Dastan of Tilism-i-Hoshruba is the continuation of the Dastan-i-Amir Hamza, the adventures of the legendary hero Amir Hamza. Although the Tilism is a narrative complete in itself, it helps to be familiar with the outlines of the earlier Hamza story to which there are frequent references in the text of the Tilism. 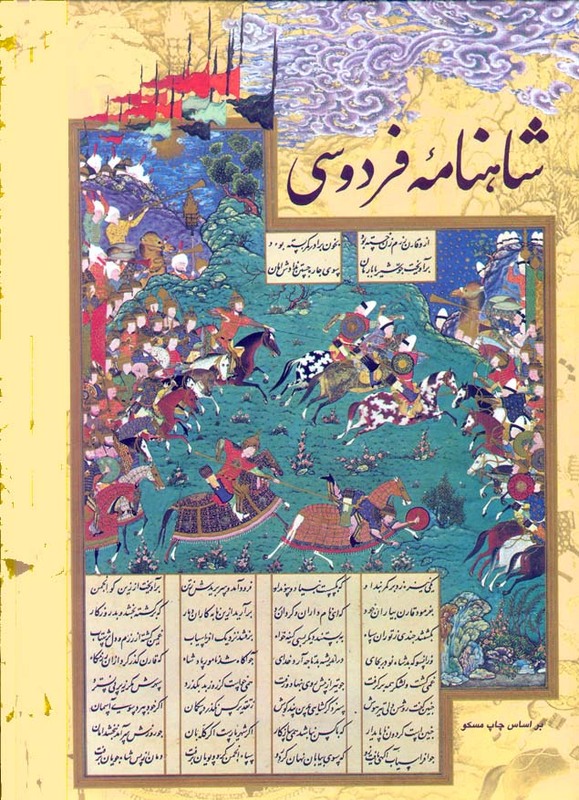 According to the Hamza Nama, the legendary Persian monarch Nausherwan had a troubling dream. He consulted his gifted astrologer Vizier Buzurchmeher, who interpreted the dream as indicating that Nausherwan would lose his kingdom to a rival for several years, and that it would be restored to him by a young Arab to be born in Mecca at the auspicious moment of the conjunction of Jupiter and Venus. That child was to be Amir Hamza, which is why Hamza was later known as Sahib-qiran or Lord of the Conjunction. Nausherwan sends his vizier Buzurchmeher to Mecca (then part of the Persian empire) to identify the baby and to ensure that he is reared as a ward of the Persian court. 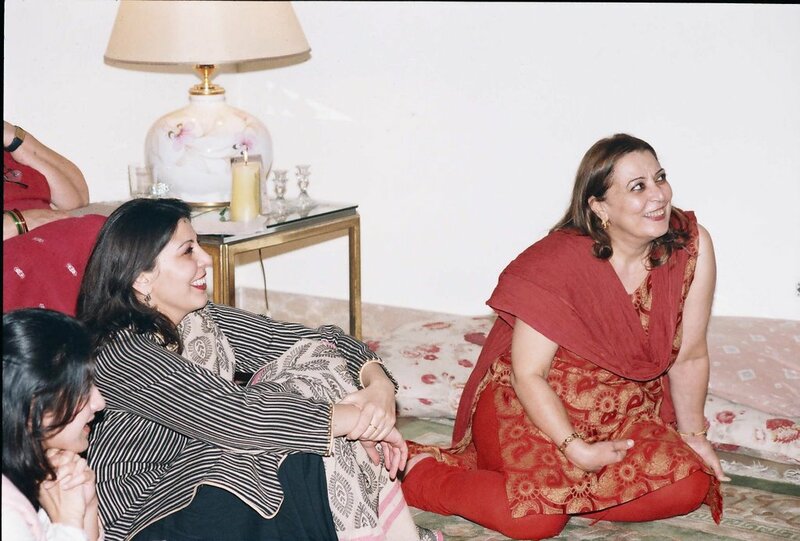 Hamza’s father is identified in the narrative as Abu Muttalib, the leader of the Hashemite clan. The choice of the name Abul Muttalib who was the grandfather of the Holy Prophet Muhammad was not accidental, for it used him – a real figure – as a corner-stone character into an essentially fictional text. Hamza grows up to become a warrior of formidable strength and intelligence. Hamza, being blessed, receives gifts that have supernatural powers. He is also given the Great Name (legendary unknown name of God) that prevails over all forms of magic. His childhood friends - the wily trickster Amar and the loyal archer Muqbil - are also blessed with divine gifts and remain his companions during his numerous adventures. In time, Nausherwan uses Hamza to fight on his behalf, but in his heart he fears him. His Vizier Bakhtak fuels Nausherwan’s insecurities and plots against Hamza. 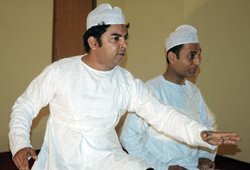 Amar shields Hamza against Bakhtak’s fiendish schemes. Hamza and the beautiful Meher Nigar, daughter to Nausherwan, fall in love and Nausherwan reluctantly consents to the marriage. Just before the wedding Hamza is wounded in battle and rescued by Jinni-king Shahpal’s vizier. In return for the kindness Hamza promises the Jinni king that he will vanquish the defiant devs who have taken over his kingdom. Hamza is trapped in Koh Kaf (land of Jinni and fairies) for 18 years due to the machinations of the Jinni king’s daughter Aasman Pari who is besotted with him. 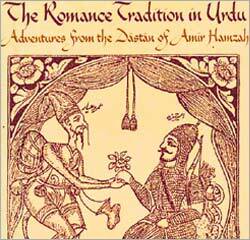 Eventually, Hamza returns to Persia and marries his beloved Meher Nigar who has loyally waited for him. The last part of Hamza’s story involves his return to Mecca. 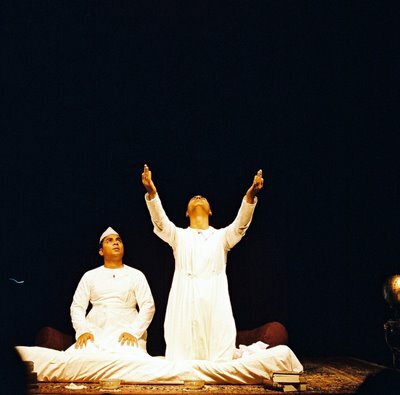 Here, the fictional Hamza becomes the real Hamza bin Abu Muttalib, who defends his nephew the Holy Prophet Muhammad against the Kaffirs of Mecca and is subsequently martyred at the Battle of Uhud. Amir Hamza re-appears as a hero in the Tilism-i-Hoshruba. The literal meaning of the word Tilism is enchantment. Hoshruba is an empire of enchantments that contains many other magic-bound realms within it. The Tilisms are deemed to have been created by an ancient pantheon of gods such as Samri, Jamshed, Laat and Manaat who have been long dead but whose magic remains alive through their creations. The realm of Hoshruba itself consists of the Visible and the Invisible Tilisms (divided by the River of Blood) and a mysterious place of the darkest magic best described as the Veil of Darkness. These Tilisms are populated by wizards and witches whose names reflect the kind of magic they practice. Witches are as powerful as wizards; they rule kingdoms; they lead armies, and they are given equal importance in the narrative. .
Tilism-e-Hoshruba recounts the adventures of Amir Hamza and his sons and grandsons - all of them (like their illustrious forebear) brave, chivalrous and stunningly handsome. The Tilism-dastans usually involve a quest for the Lauh-i-Tilism - the magic tablet or keystone that is closely guarded by the ruler of the Tilism. The keystone is so designed that only the person destined to vanquish the Tilism, known as the Tilism Kusha, is able to reach it. The keystone requires some sort of sacrifice, usually of blood before it reveals its secrets to the Tilism Kusha and guides him. The story begins with Hamza as the commander-in chief of the Islamic army defeating a Persian ruler Laqa, who has been making false claims to divinity. Amir Hamza chases him out of the Tilism of a Thousand Faces into Kohistan. Laqa takes refuge in Kohistan because it shares a border with the Tilism-i-Hoshruba. The ruler of Hoshruba Afrasiab is the formidable King of Wizards who reveres Laqa and deputes his wizards to help Laqa fight Hamza. Laqa’s allies include the sons of Naushervan, Hamza’s old patron and adversary from the days of the Dastan-i-Hamza. Laqa’a vizier is Bakhtiarak son of Bakhtak, the vizier who had schemed against Hamza and Amar in the earlier legends. 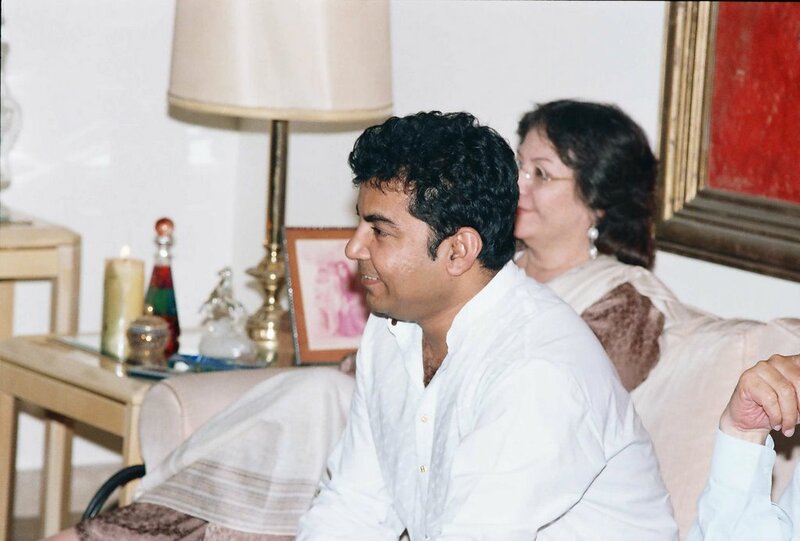 Hamza’s childhood companion Amar has a pivotal role in the later narrative. Because of his talent for disguises and trickery, Amar is known as king of Ayyari or tricksters. (Ayyari or the art of trickery is a profession with its own costumes, codes and sign language.) He has an army of over a hundred thousand other tricksters who acknowledge him as their leader and teacher. Amar uses divine gifts such as the cloak of invisibility and the magic pouch that contains many worlds to succeed in his tricks. 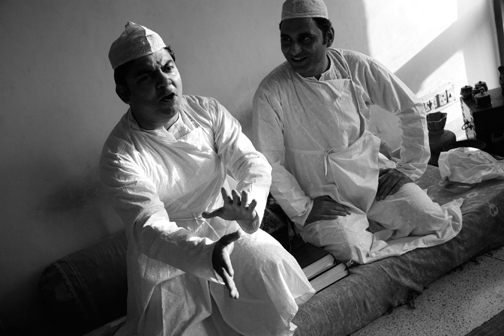 Hamza’s astrologers are the sons of the great Buzurchmeher, vizier to Nausherwan. At his behest, they cast an astrological chart and inform him that his grandson Asad is the Tilism Kusha of Hoshruba. Hamza sends Asad to invade Hoshruba with a large army. Amar and four other tricksters accompany this army. The invaders are beset by magical snares and enchantments at every step, but due to their superior moral authority and physical prowess, they manage to overcome all these hurdles. Afrasiab, both the King of all Wizards and the emperor of Hoshruba, sends his lesser functionaries to combat Asad and the five tricksters. Afrasiab’s concern is accentuated when his own niece Mahjabeen falls in love with Asad and elopes with him. 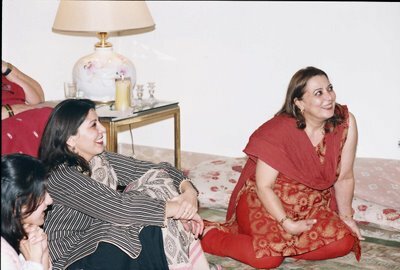 His consternation is absolute when Mahjabeen’s grandmother – the powerful sorceress Mahrukh – also defects to Asad’s side. Many powerful wizards of Afrasiab’s camp, disgruntled with their own ruler, join the Tilism Kusha Asad and Mahrukh. At this, Afrasiab sends his own wife Hairat along with his best people to confront the rebels, confident that they will be disposed of easily. Despite that, Afrasiab suffers defeats and humiliations at every turn. Eventually he conjures the deepest and darkest magic at his command but is consistently foiled by the cunning ploys used by Asad’s five tricksters. Afrasiab however manages to capture Asad and Mahjabeen but finds that he cannot execute Asad as that would go against the constitution of the Tilism written by its ancient creators. Despite the absence of their leader Asad, the rebels gain increasing strength, culminating in their securing the alliance of Kaukab, the powerful ruler of a neighbouring Tilism. Once Asad is released, the rebels along with their allies help him in the quest for the Loah or keystone. Afrasiab, now desperate, turns to the ancient wizards surviving from the time the Tilism was created. Eventually after fourteen years of conflict, the Tilism Kusha Asad kills Afrasiab. The land of enchantments is finally rid of all magical illusions. Hamza restores the throne to the former ruler of Hoshruba who had been deposed by Afrasiab and imprisoned by him. The living god Laqa escapes and is rescued and given refuge by another powerful wizard. As the Tilism contains so many characters from the original Dastan of Hamza, it has a strong Persian and Arabian flavour. The Tilism dastans evolved in the days of the later Mughals when the kingdom of Awadh was in a decline. Although many of the idioms, language and culture are recognizably derived from courtly life at Lucknow, the Tilism belongs to a time and a space that is all its own. There are few oblique references to the 1857 War of Independence/Mutiny and the presence of the British. However, there is no direct mention of any specific places or towns, as we know them. The seven daftars or volumes of Tilism-i-Hoshruba form one continuous narrative of prose, interspersed with poetry. 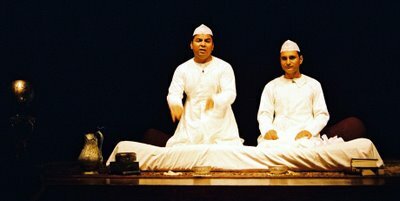 Dastan narration was an intrinsic part of the court ritual. It enjoyed a common appeal that encouraged the narrators to tailor their stories to suit their audience. 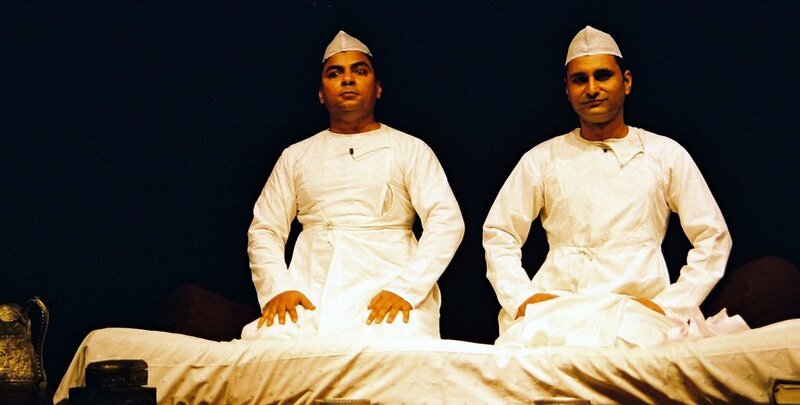 In the late nineteenth century, the Naval Kishore Press in Lucknow commissioned dastan- narrators or known as dastan-gohs to compile the primarily oral tradition into written form. These were first published between 1883 and 1905. My interest in the Tilism began as a child when I came across an abridged edition which I read with an almost insatiable appetite. It was written in highly Persianised Urdu but despite its archaic style the beauty and richness of the language and the sheer magic of the story has captivated me over the years. I realised though that for the Tilism to be appreciated by others, it needed to be translated into English while at the same time, its inordinate length – padded by lengthy often gratuitous passages of purple prose and poetry– had to be edited and re-interpreted into a readily intelligible idiom while retaining the flavour of the original. The Dastangos revel in the accolades they get. Afrasiyaab is baffled after hearing Amar Aiyaar's tales about Laqa. Ya Allah! Some story this guy Amar Aiyaar is spinning now. 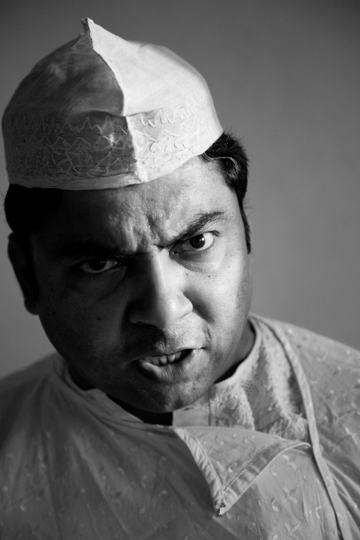 Amar Aiyyaar spins a yarn about Laqa, the false god. 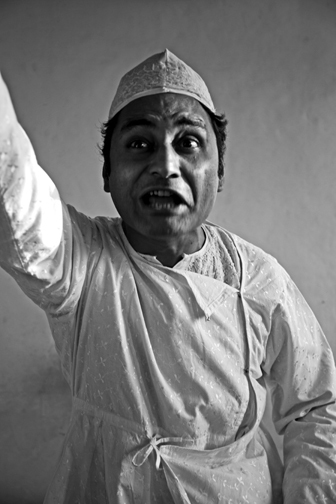 The complaining Kalwaar as Asmaan Shola-khwaar Jaadu hears him out. 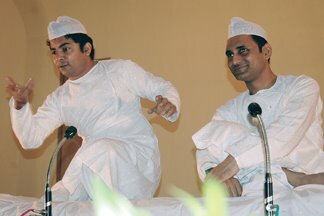 A vain Asmaan Shola-khwaar Jaadu. Amar Aiyyaar in a state of self pity. The indignant dhobi accuses a fellow onlooker. Afrasiyaab surveys his kingdom from his magical flying takht. Dastangoi—the art of reciting dastans, traditional romantic epics that are related to the 1001 Arabian Nights and Panchatantra—is being revived, says Scherazade Kaikobad. 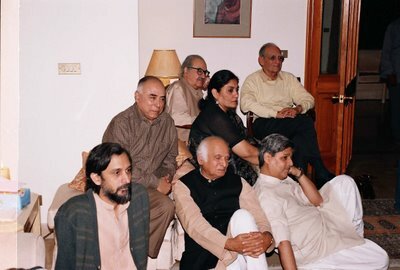 Many of us in the post-Independence generations may be forgiven for believing that the Indian epic tradition is largely restricted to the Ramayana and the Mahabharata. 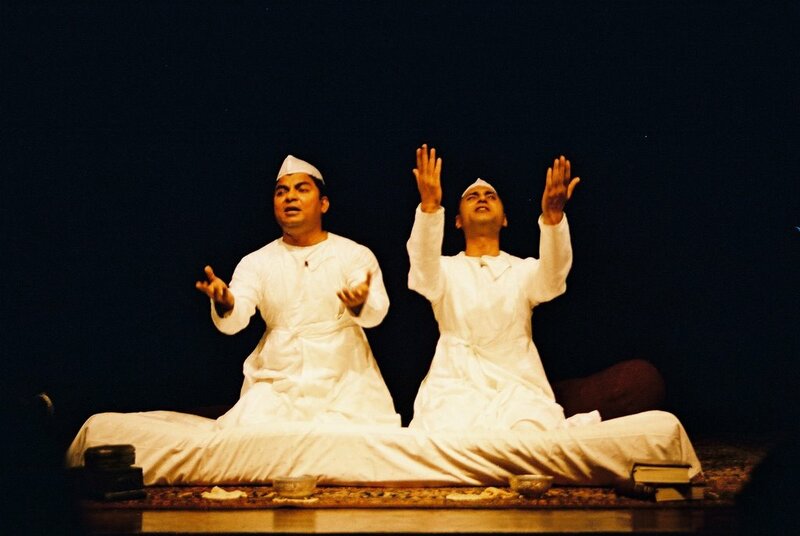 Ever since the nationalist movement and the search for a unitary 'national culture' began, there has been a systematic marginalisation of various cultural forms, including 'dastangoi,' the fine art of reciting 'dastans' or medieval romantic epics. From the coffee houses of Tehran to Delhi's Jama Masjid, from the Qissah-Khvani Bazaar in Peshawar to the Thursday evening salons of the Urdu poet Ghalib and the courts of the Mughal emperors, from far-flung Bosnia to Indonesia, dastangoi has had a rich tradition, from the ninth century to the turn of the 20th century. Dastans were derived from a common pool of stories, narrative techniques and literary styles. The Panchatantra, Jataka Tales, 1001 Arabian Nights, Shah Nama and other romances are part of this vast pool, created by the swirling currents of translation. 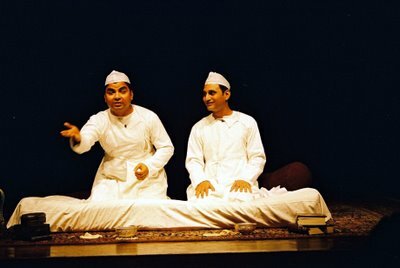 At the height of its popularity in the late 19th to the early 20th century, the Indian dastan tradition was both an oral performance, as well as a written literary form. A 19th century print version of the Dastan-e-Amir Hamza ran into 46 volumes of about 900 pages each, making it possibly the single longest romance in the world. 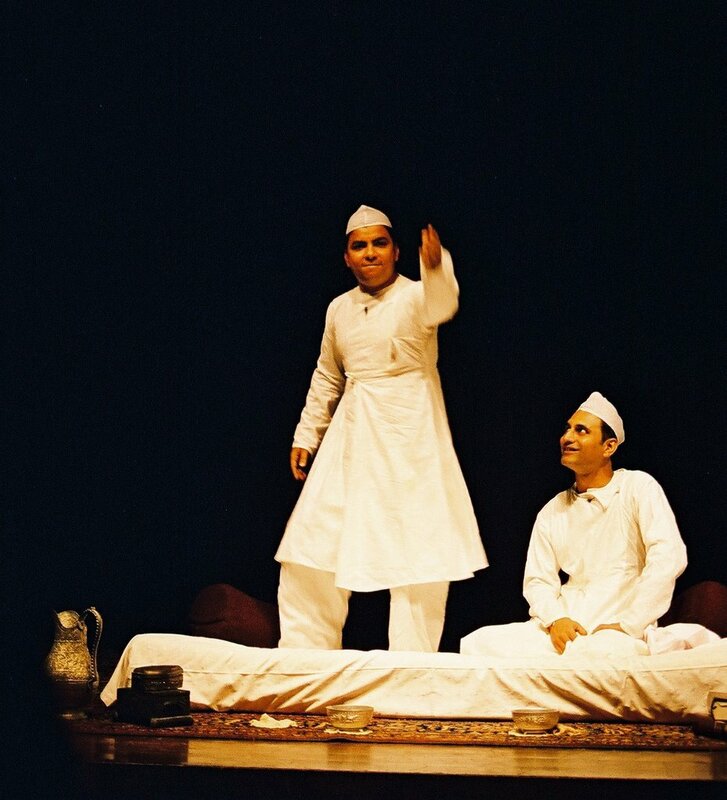 The dastan influenced not only Urdu literature, but possibly also Parsi theatre, and through it, Hindi cinema. How is it, then, that this once-thriving form has been virtually obliterated from the popular imagination? 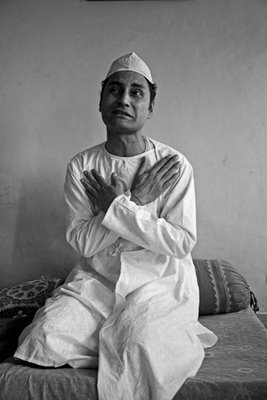 That is what Mahmood Farooqui, the Delhi-based columnist, writer and actor, has researched and attempted to redress. 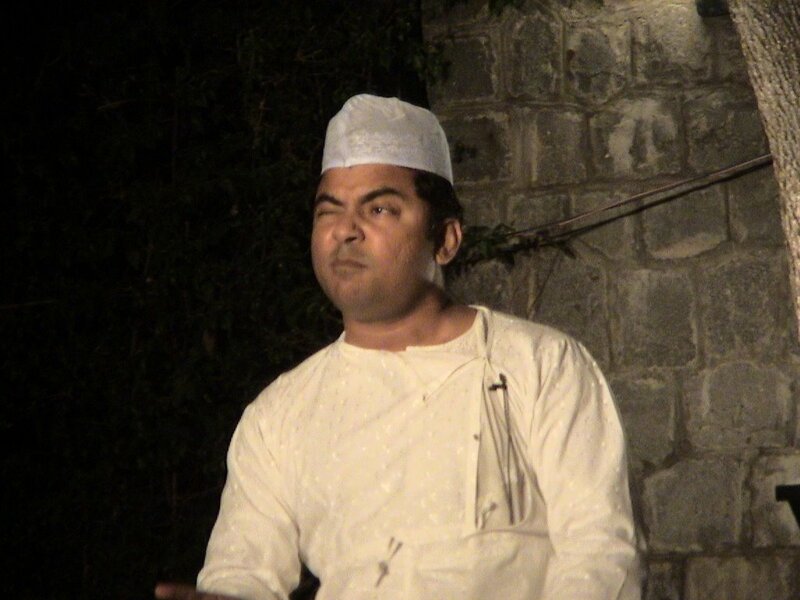 Along with co-actor and writer Danish Husain, he is currently treating Mumbai to the lost art of dastangoi. They will perform at Prithvi Theatre on July 1 and 2. 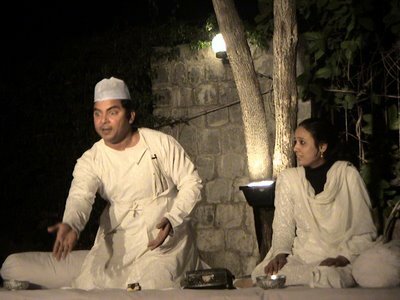 Based on excerpts from the Tilism-e-Hoshruba (the enchantment that steals away the senses), stories from the Dastan-e-Amir Hamza, this modern-day dastangoi strikes a fine balance between narration and dramatisation. While the stories recount the adventures of Amir Hamza, the selected episodes deal with the enchantment cast by Afrasiyab Jadu, the emperor of sorcerers, and the havoc wrecked by Amar Aiyyar (who is not exactly a Tam Bram, but a trickster). PS: This article was published in The DNA Newspaper, a Mumbai based newspaper, in the Salon section; edition dated July 01, 2006.